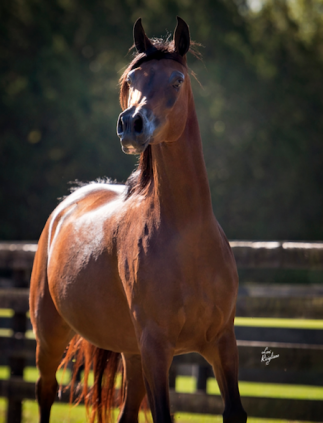 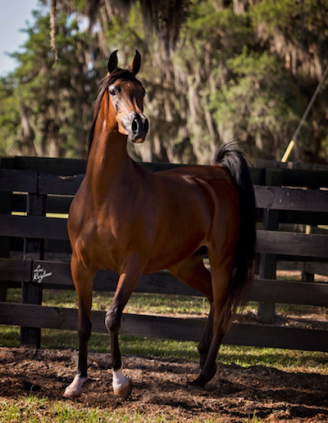 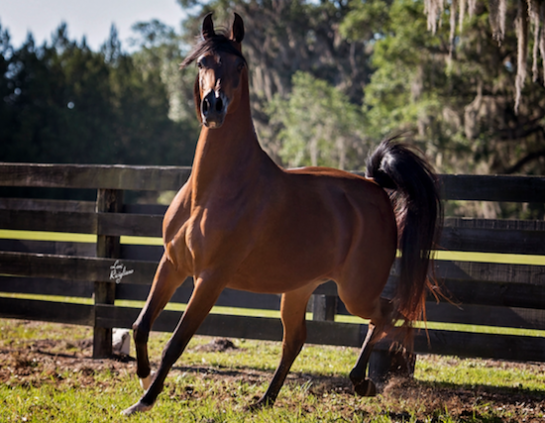 One of the few U.S.-bred daughters of the late great FA EL SHAWAN, FANTAISHA VA embodies the best of her sire’s phenotypic excellence in pleasing combination with her Pure Polish athletically inclined maternal heritage. A proven show champion, FANTAISHA VA has been rewarded for her readily apparent type, quality and elegance, essential attributes that made her sire one of the most celebrated show horses in the breed in his short, but incredibly charmed, life. 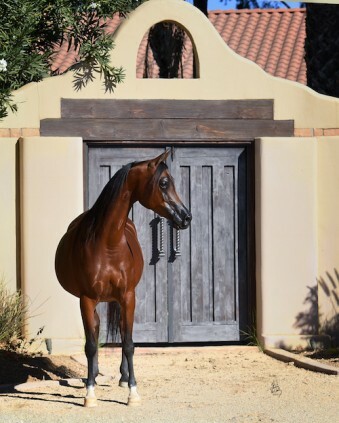 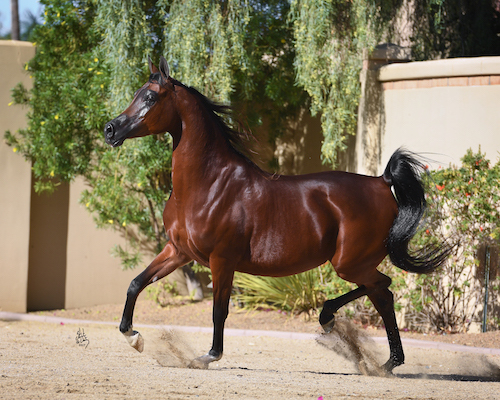 Now immortalized as one of the best sons of Living Legend MARWAN AL SHAQAB, FA EL SHAWAN continues to exert a profound influence with his small number of extraordinary get, redefining the standard of excellence for exotic type and refinement around the globe with remarkable consistency. Both power and substance are the gifts of her dam, National Top Ten RJM FATHYMA, an athletic and elegant daughter of Scottsdale Champion and three-time U.S. National Champion PYRO THYME SA, an intensely line-bred stallion of consummate structure and style with an inspiring seven crosses to the peerless breed legend *BASK. 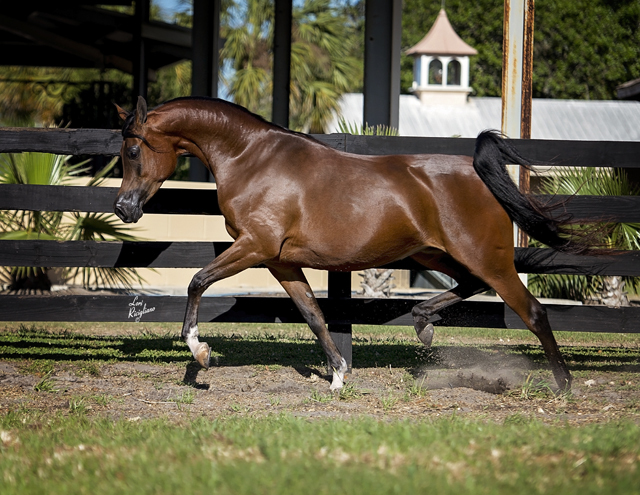 Further Pure Polish prolificacy enhances FANTAISHA’s genetic potential via distaff contributions from flamboyant European Champion PENITENT, the superlatively conformed National Champion AAF KASET, the ultra-elegant Aristocrat Dam GILZA, and the legendary Polish matron FORTA, who carried 20 foals in her lifetime, including 19 in succession, and who still remains one of the most important sources of versatile athleticism in the breed.